The Russian influence in eastern is more prevelant than you would imagine. From what we saw, they treated themselves well. Most of the impressive buildings in Karelia owed their existance to Tzarist money and Finnish craftsmanship. 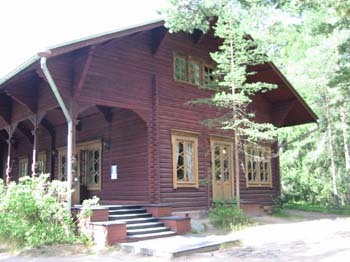 This one is the Tzar's hunting lodge at Imatra.